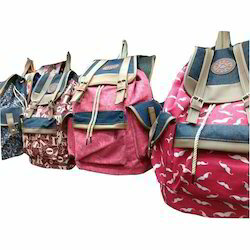 Pioneers in the industry, we offer drawstring rope bag, school backpack, faux fur school bag, promotional drawstring bag, rope bag and printed football sling bag from India. 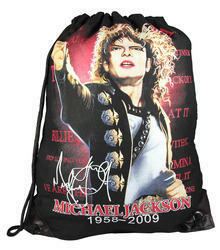 We are engaged in offering a wide range of School Backpack. Our range is stitched with the use of high quality fabric and threads. 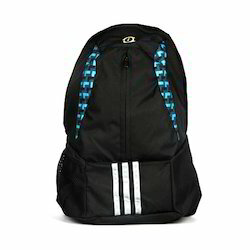 School Backpack is highly appreciated for its easy carrying and light weight. 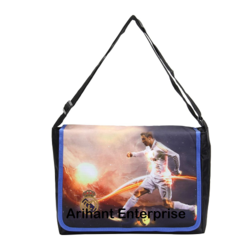 Our clients can avail these bags from us in various design options. 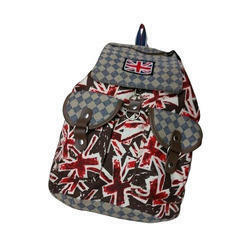 With our vast industrial experience, we are providing our clients with a wide assortment of Faux Fur School Bag. Designed with utmost precision, the offered array is in accordance with international quality norms. In addition to this, our products undergo various tests under the supervision of quality controllers, in order to ensure their flawlessness. 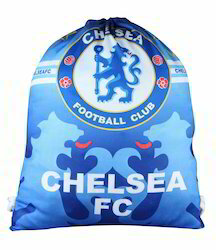 Clients can avail these bags from us in a number of sizes, designs and colors. 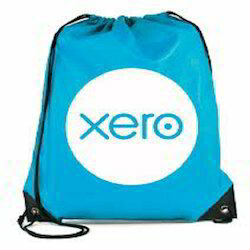 With the firm dedication to excellence and quality, we have achieved a unique place in the market for providing a world class assortment of Promotional Drawstring Bag. Under the supervision of our highly proficient and skilled team of workers, we are fabricating these items using utmost grade basic inputs. 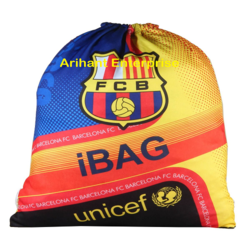 We are involved in presenting a wide assortment of Rope Bag in the market. 3) Dimensions - Length - 17"", Height - 11"",Base - 3.6"" (in inches). 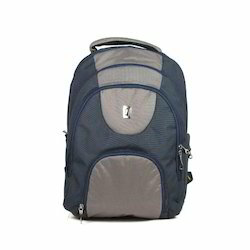 Length of Sling - 48.5""
Being a quality centric firm, we are offering a wide assortment of Laptop Backpack. 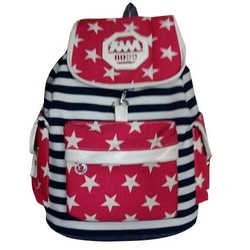 Designed with quality fabric, offered bag range is perfectly stitched and easy to carry. 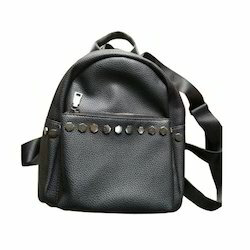 Light in weight make this Laptop Backpack highly demanded. We are offering our range at affordable rates.